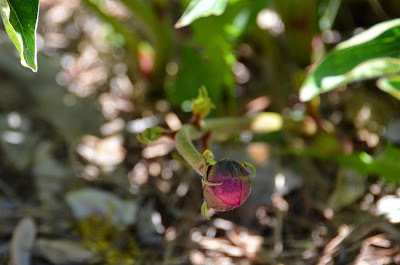 Despite the gorgeous photos of my 2015 Peony Blooms Week 2 - Early, my early peonies suffered quite a bit of bud blast this year from our late winter weather and overnight freezing temperatures. During March we had 4 nights with freezing weather where the temperatures dipped into the 20s at night. The average night time temperatures for this area in March are in the 30s and 40s. The first three nights with 20° temperatures were on March 1st, 6th, and 7th. 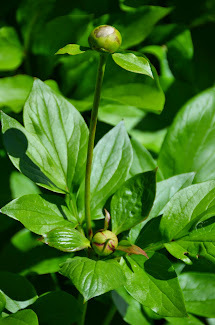 The peony buds probably would have been okay at this point, but on March 29th, we experienced a 22° low, after the lows had been in the 30s and 40s subsequently. There was even a low of 57° only three nights prior. 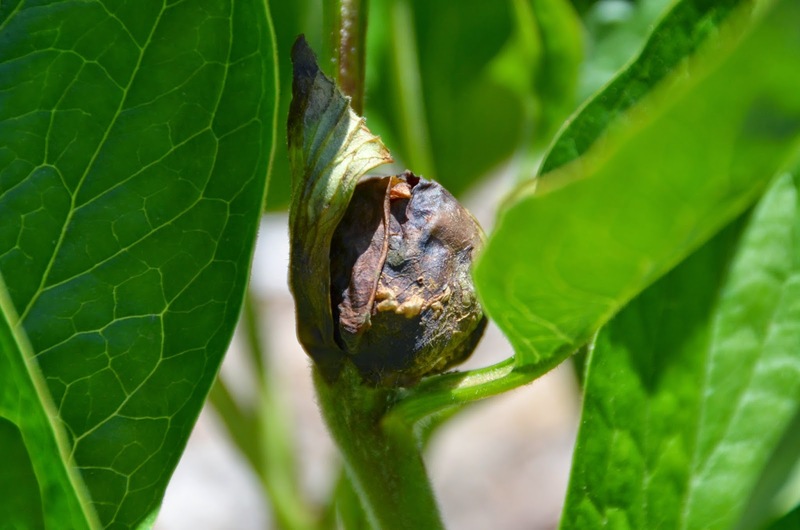 All of this adds up to damaged buds on peonies that were preparing to bloom in early April. 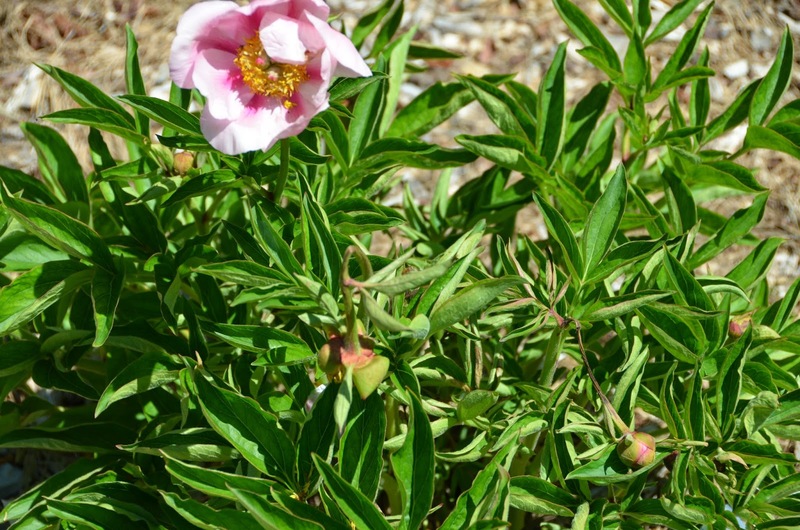 However the late freeze not only stopped the bud growth in its tracks, it even wasted a few stems on some early herbaceous peonies as well. The photos of these two peonies, Peony 'Lemon Chiffon' and Peony 'Roy Pehrson's Best Yellow' both show an example of something I noticed on several early peonies this year that usually have multiple blooms per stem. 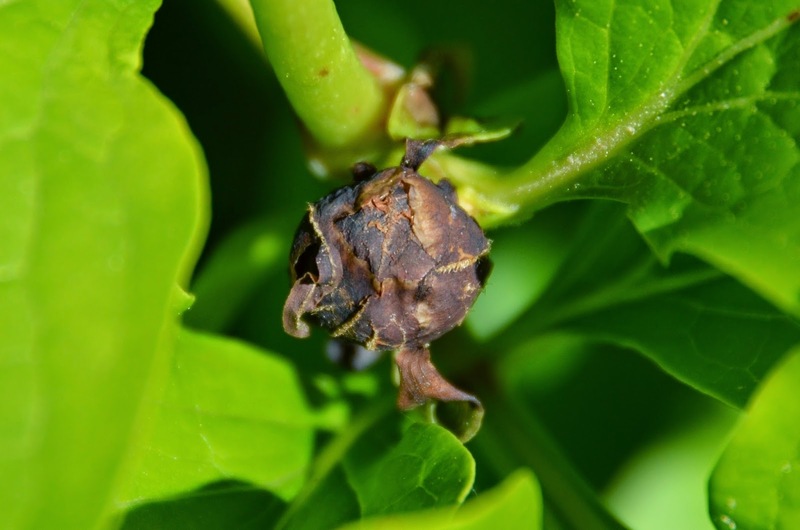 The main (and most developed) bud suffered bud blast, while the later developing side buds were not affected and were able to continue developing. 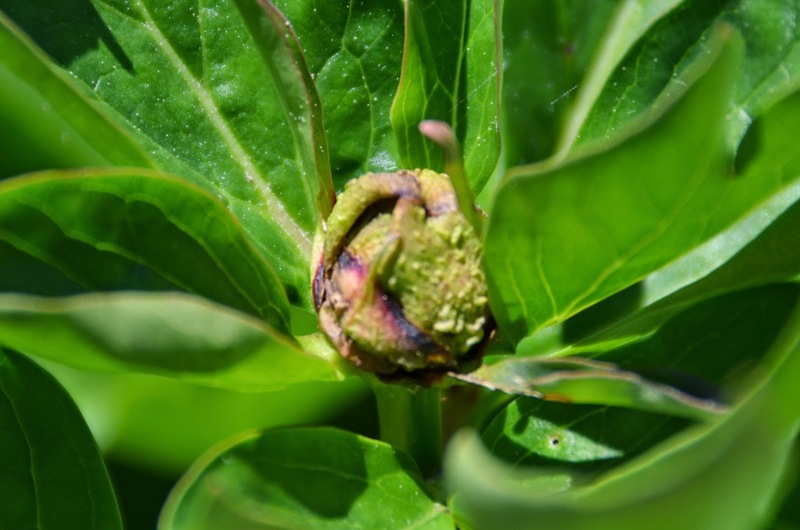 So the stage of bud development definitely has some bearing on whether the buds will survive such cold weather. 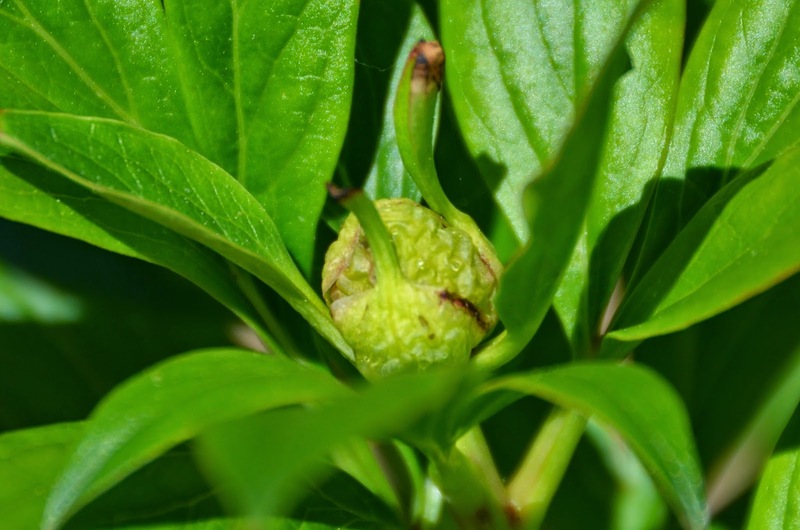 The more developed the bud when the cold hits, the less chance it has of surviving. 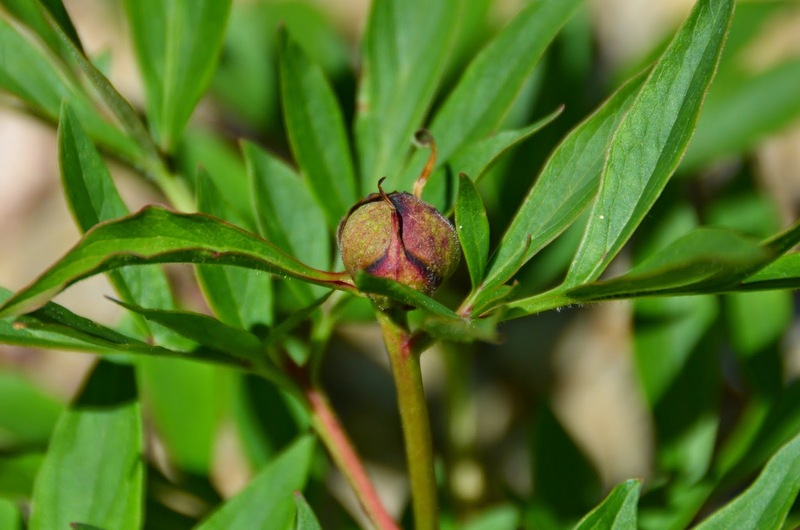 There are also lots of examples of peonies whose main buds were blasted, leaving no survivig buds on the stem. 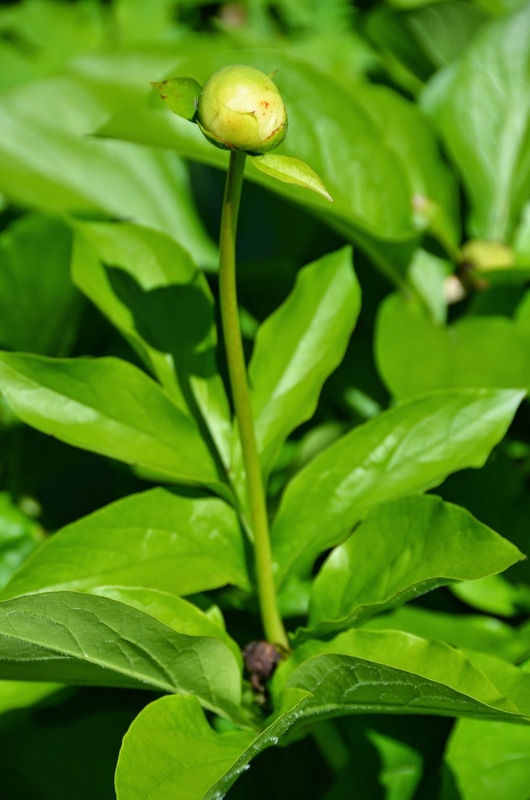 These are usually on peonies that only have one bloom per stem like Peony 'Nova' and Peony 'Honor'. Peony 'Firelight' seemed to suffer the most from the late freeze in my garden this year. Although it did manage to get a few blooms open, the majority of the buds on this plant were blasted by the freezing cold weather. Its foliage growth was even stunted by the cold air. On a couple of stems on this plant, not just the buds were blasted, but the actual stem was wasted by the frigid temps. You can see a couple of these wasted stems in the photo hanging limply with their blasted buds upside down. This tough peony was not to be defeated though, as it sent up and extra latecomer - a replacement stem with a bud ready to bloom on it! I had the same thing with the foliage, Adriana. Further north than you so I didn't have any buds to be damaged but lost most of the growth on Firelight, Coral Magic and Pink Hawaiian Coral. Yours look like it recovered quite a bit, hope mine do, too! 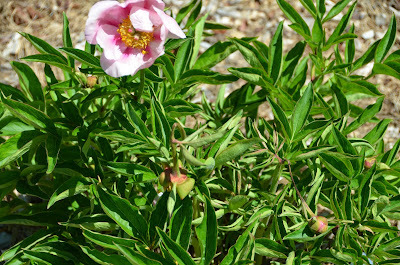 I think it may be next spring before I see these peonies fully recover. I hope your peonies did well this spring!